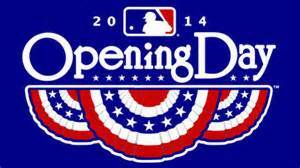 You kind of knew going into the idea of an M L B Opening Day national holiday might be more of a mythical swing for the fences or every baseball lover’s day dream of an impending 3-2 count bottom of the 9th with the bases fully juiced. 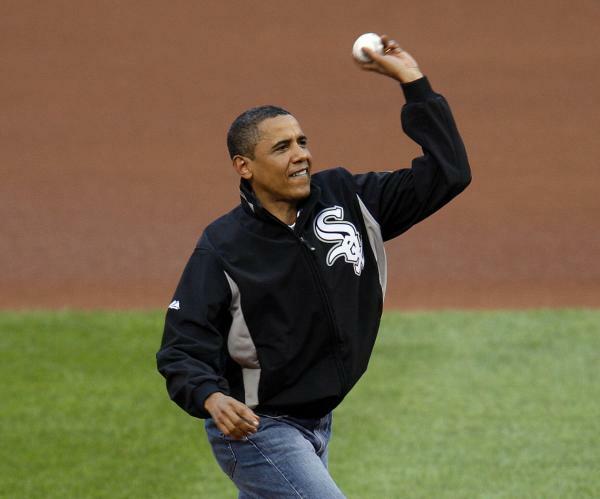 Maybe I was really naïve and slightly delusional thinking that since we had a baseball loving President sitting at 1600 Pennsylvania Ave. we had a ace in the hole with our ideals. Maybe it was a bit of too much emphasis on pushing the positives and thinking that our current Commander-in-Chief who ceremonially upheld that awesome Presidential Opening Day tradition on his home turf of Washington DC during the 2010 National’s home opener would stand tall and proud that one of his treasured sports wanted to be embraced like this on a national scale. 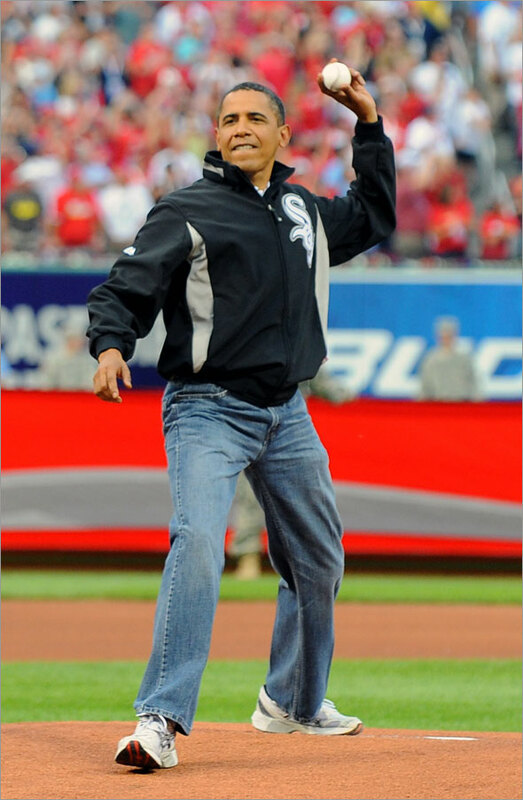 Possibly I held too much hope that President Obama, who bolstered more of an athletic background and love for the game of baseball then in the first Presidential First Pitch moment back in 1910 by that famous spit-baller President William Taft. 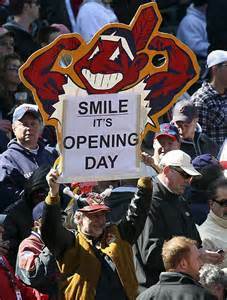 Maybe I was hoping President Obama who relish in the fact the Tampa Bay Rays own Raymond stood with members of the Red Sox Nation as Mr. Met joined arms-in-arms with Philly phanatics in wanting a special day of celebrating what is still rightfully, our national pastime. 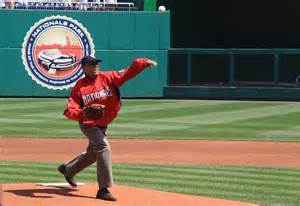 But what truly rocked me to the core is not just a personal or even cap tilt from the White House’s main occupant, but a well-versed but truly polish response to the M L B Petition submitted to make Baseball’s Opening Day a National holiday. Sure the press release did come from the White House’s “Bullpen” via a mound visit/release by White House Principal Deputy Press Secretary Josh Ernest. In Ernest’s defense, he is a life-long Royals fan, so maybe I’m cutting him a bit of slack since he personally knows a bit about the awful feeling of feeling disappointment with regards to the game. So quite possibly seems we, as a petitioning nation somehow misread the signals from our own Third Base Coach (M L B) on the transpiring play and were ultimately caught red-handed standing in “no-man’s land” between First and Second Base with our feet stuck in clay….an easy out for the White House as we consulted and petitioned the wrong governmental body to get some resolve to our want. Hopefully next time we can get a clear second opinion or honest impression on the signals before striding off the bag and committing a mortal base-running sin. Giving a precious out even in the game of politics can be detrimental to any swing or aggressive actions at the plate or on the base paths and could result in an inning ending defensive recourse or a debilitating 5-4-3 double play. 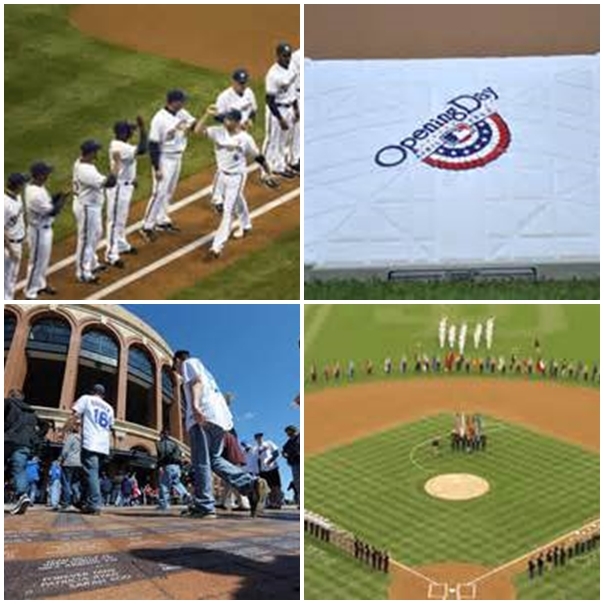 Sure I wanted a personal opinion or statement from our Chi-Sox loving Commander as to his future vision for this plan of making Opening Day a national celebration, but outside the aforementioned Press Release, the Oval Office or for that matter the Rose Garden still doesn’t seem to have a keystone shaped Home Plate nestled within its carpet/grassy regions at this time. I guess it is true that baseball makes all of us feel like youngsters, kids of all ages, and maybe it was truly naive to think that by gathering 100,000 signatures (mine included) would put this grand plan on firm ground for such an undertaking. Sure we might have been caught flat-footed watching that ball break across the plate and we stood there groggily-eyed and mesmerized, but hopefully this experience did not only educate us, but made us pop a bit more pine tar on the barrel, grip the lumber a bit tighter and square off in the box hoping the “meat” throws that same old weak stuff again. 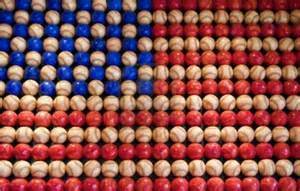 Maybe the reality is that by petitioning the White House we can as a baseball nation take the necessary steps to accelerate our plans advance through the political minor leagues to take a healthy step up the ladder to make ourselves truly noticed and possibly get that battlefield promotion to “The Show”. 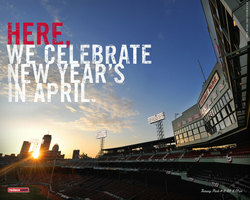 We as a collective baseball-loving nation are now a bit wiser for this whole experience. From the initial gaining of the first petition’s signatures to the reassembling of the whole enchilada as our Bench decides our next game plan. Believe me, next time we will not have a deer-in-the-headlights moment when we final get that call to the majors aka where surely someday get our shot with an at-bat against the high caliber Washington DC Bombers and even with a 0-1 count against us we will not show a hint of fear as we want and shall one day have a national day to rejoice our national pastime. Excuse while I step personally back into the Batter’s Box after adding a bit more tar to my Louisville Slugger wearing my “WE the People” away baseball cap and jersey. Toronto’s J A Happ, Cincy’s Aroidis Chapman, Oakland’s Brandon McCarthy, Tampa Bay’s Alex Cobb and recently teammate Matt Moore. A short list, but a list of impressive M L B caliber players who recently have taken rocket shots to their bodies courtesy of a “come-backer” while on the mound. Moore’s tangle with a M L B approved white missle happened less than 24 hours ago as a ball came back at him and Moore was able to get his right glove up just enough to deflect the bulk of the energy coming furiously towards his face. Moore left that contest but was seen today having lunch today with Rays Manager Joe Maddon prior to the cancellation of this afternoon’s contest. Moore was extremely lucky and the only true sign of the event is a busted lip and some lingering jaw soreness. Over the last 6 seasons 14 M L B pitchers have been plucked by batted line drives to their bodies. Interesting enough earlier this spring M L B did announce a protective cap prototype that had their stamp of approval and had the “thumbs up” M L B P A and M L B executive vice president for labor relations Dan Halem. It was initially announced the approved cap made by 4Licensing Corporation subsidiary isoBlox would be in-house for all member club and their minor league affiliates to try this spring and be an optional protective item for players to try out and evaluate personally before the season began. I have talked to 2 different members of the Rays organization and so far no one in the Rays spring camp has seen such a cap in-house either as an example or test model. The proposed protective cap is a bit more cumbersome than the traditional M L B cap as it will be a half inch fuller in the front region and an inch thicker near the temples and provide additional padding protection from a line drive of up to 90 mph to a hurlers frontal skull region and protection up to 85 mph for a side strike. IsoBlox states the protective material is a “plastic injection molded polymer combined with a foam substrate and is designed to diffuse energy upon impact through a combination of dispersion and absorption techniques.” Not in the release is the fact the new cap will be about 7 ounces while the usual New Era cap comes in at around 3-4 ounces. New Era is to be sent the protective element to be sewn into their M L B approved caps for regular seasonal use. Wouldn’t you think the best viable way to test if such a protective cap could or would help curtail such injuries or down time for hurlers be in their hands so they could experiment, test it themselves and give feedback so M L B or isoBlox could facilitate a more universally accepted cap model that would appeal instantly to the M L B or minor league pitching masses. Do we have to witness someone named Verlander, Price, Darvish or Hernandez plucked or possibly severely injured before people awaken fully to the dangers or the possible carnage that can be done by the ball revolving stiches and blunt trauma. This is just my opinion, but I think Happ, Cobb, Chapman, McCarthy and Moore are extremely valuable assets to their respective clubs and not only deserve but should be afforded every protective options available to them so the next time a ball comes screaming back at them we do not have to worry about their safety. 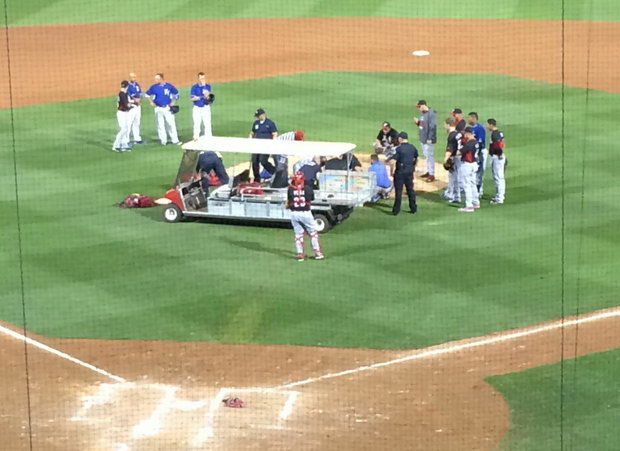 I hated watching both Happ and Cobb put on stretchers and wheeled out of Tropicana Field last season. 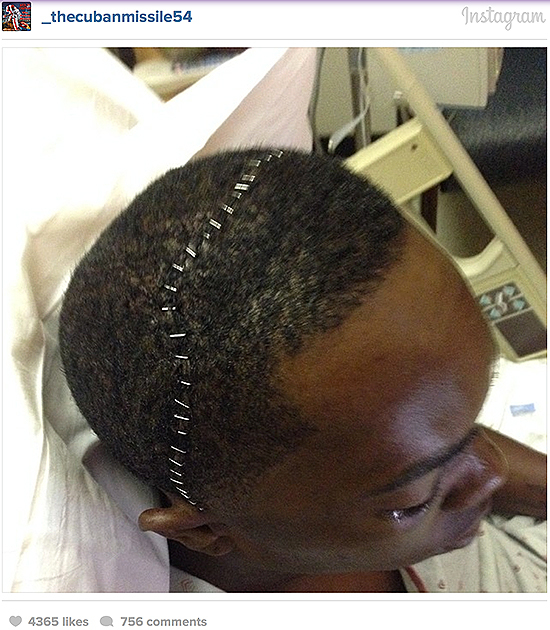 The recent injury to Chapman and his sub sequential surgery and time loss due to injury puts a further dark cloud above M L B to not only have these caps in-house soon, but before we witness another pitching disaster or possibly an ending of a great career. 4 of 5 M L B pitchers struck since 2012 have been hit below the cap line. This isoBlox cap is a great step forward, but with it not in M L B Clubhouses this spring as announced, it might hamper the learning curve as some pitchers might have to make their adjustments to such a protective caps in non-game situation or bullpen sessions before trying it out live during a game….. Sorry M L B, this is a E-10 to me, but can be corrected with just a simple delivery. I know a majority of us already use it as a stealth day of fun, even possibly at the expense of taking a sick day or calling into work with excuses with gaping holes like Swiss cheese. 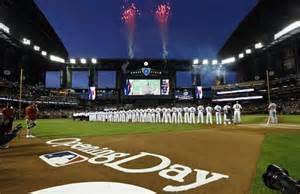 Maybe by making it an “official” day we can come out of the closet and profess our baseball love to the world without ridicule or penalty. Viva la Beisbol! Now if we can just corral a minimum of 26 United States Senators who also possess the same passion and admiration for the game, we will be well on the way to securing historic legislation. As Jane Aubrey (Kelly Preston) so adamantly screamed in “For The Love of the Game” when Billy Chapel (Kevin Costner) was lying on an ER gurney after cutting his pitching hand profusely, “Is baseball not America’s game!”. 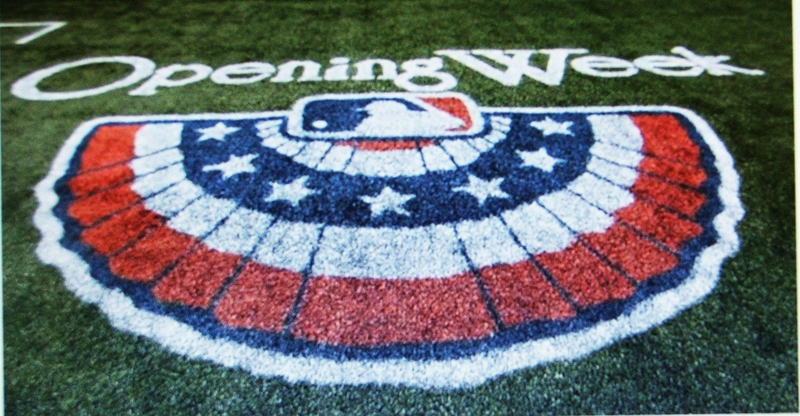 Starting tomorrow maybe we can all collectively voice our opinions on possibly immortalizing forever as a country, baseball’s Opening Day. The time is right for such a couragious venture. We have a President who adores the game. Members of the United States Congress who have either played the game as children, young adults or at the M L B level. Ground level support is definitely there for all of us to individually and as a Nation showcase our own passion and respect we have for this game that celebrates strength, integrity and unity on the field. Be it Major League Baseball, minor league affiliate or even Independent Baseball, this glorious day should have the added spice of being officially announcing our continuous love for this game to the World. No matter if you are in the Northeast,Florida, Pacific Northwest or So Cal the passion for your team travels with you and you are open to express that love, even in enemy territory like a Yankee fan in Boston, or a Dodger fan expressing their love in San Francisco. The game transpires all kind of boundaries and deserves a day all its own. Do You Take Your Phiten With a Grain of Salt or Straight Up? 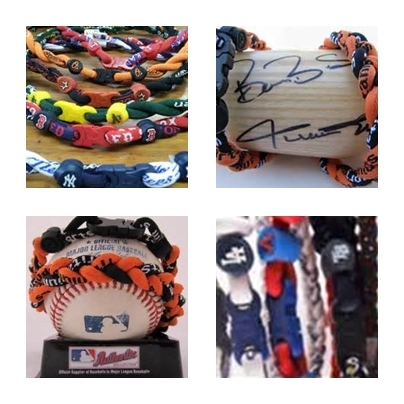 For years we have seen some of our favorite Major League Baseball players wearing these colorful and decorative necklace on the mound or in the field. Little did we know that the product is based on scientific evidence that it helps heals the body and is not just a selective M L B fashion statement. But do they really work as advertised or could their “magic” healing presence be as much suggestive as it is based on scientific data. So do these funky necklaces and wristbands with that funny Japanese name really be the answer to what ails us, or could it all be a 21st Century snake oil? The Phiten company website boasts loud and proud that the necklaces and wrist bands are “energy transport systems”, and the company maintains that the product “amplifies the energy management system increasing the efficiency of each and every cell. Who would be willing to throw down a few dollars for the chance to possibly find an edge that did not resort to methods not considered above board by M L B or their fellow athletes. Phiten claims that those intertwined pieces of titanium-enriched roping could decrease muscle discomfort, help increase blood circulation, thus promoting a heightened sense of relaxation that would stabilize energy flows, and sooth stress and tension. Each of these reasons would be a great reason for any athlete trying to stay at their top levels and physical best for 162 games during the regular season. There currently is no study or conclusion drawn by scientists that the product either works or is a farce. I guess the basic belief that it works might be the best medicine here. It’s pure claim to fame is the fact it can do wonders in relieving stress, anxiety, and for the most part muscle discomfort. With athletes harboring great superstitions and wanting to keep up with good luck charms, could the Phiten products just been on their bodies when they had great games and not have a significant level of enhancement over their physical being. If you think the necklace is doing some good and is creating a more positive performance out of you, why would you even think of discarding your “luck charm” product until you find another proverbial 4-leaf clover alternative. I guess the best way to think of the Phiten experience is it might work differently with each of us, and hopefully even if it doesn’t provide the level of change you desire, it at least makes your life a little more enjoyable and relieves some of the day to days stresses that we in the stands feel every day…or as we witness each of our team’s at bats. 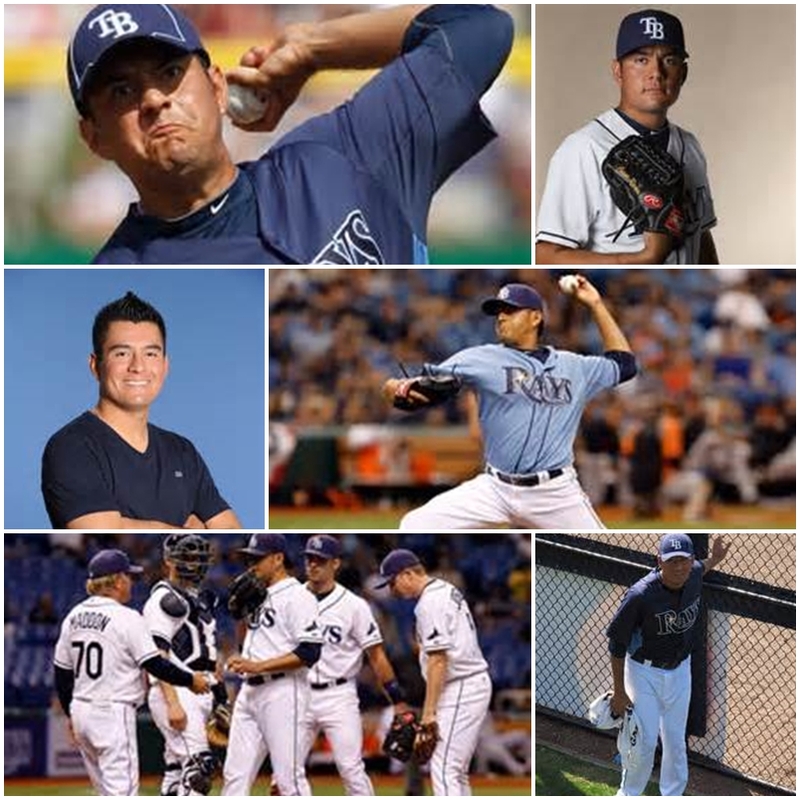 Ramos and his Versatility Deserves a Chance at Rays 5th Slot. 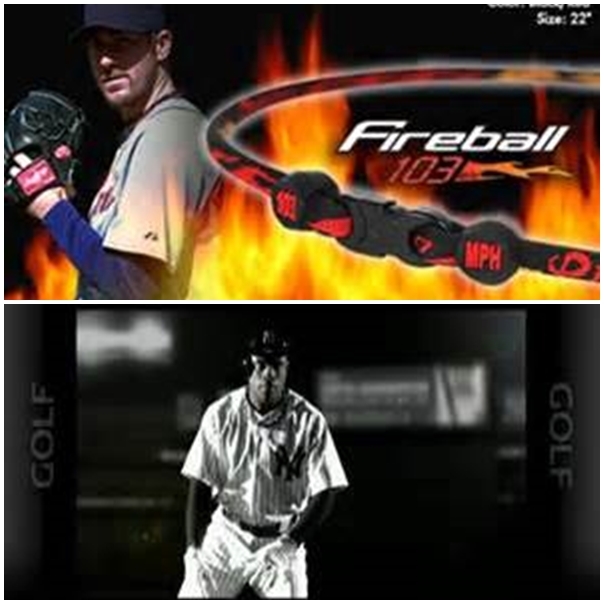 Some would say throwing your ball cap into a ring with several other MLB caliber players is a “no-win” situation. That in doing so you might seem a bit of unsure of your part in the Tampa Bay Rays brain trusts ultimate plans for you, but I disagree with that train of thought. 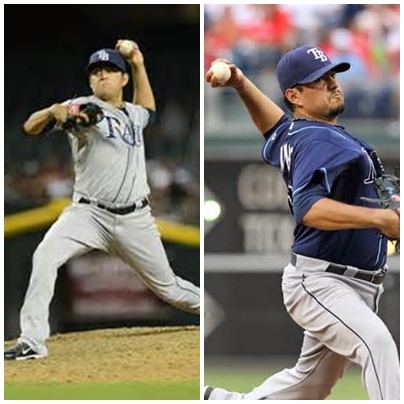 I actually think the decision reached by southpaw reliever Cesar Ramos is not only bold but a calculated move and shows to the men who make these kind of decisions that he is willing to do whatever is necessary to put his name on a Rays 25-man spot come Opening Day, even if it means abandoning their pre-set agenda of him being the long guy out of the Rays Bullpen. It also shows to me Ramos wants to garner the same type of versatility and game situational thought process that makes a utility player like Sean Rodriguez an invaluable piece of the Rays game day puzzle. 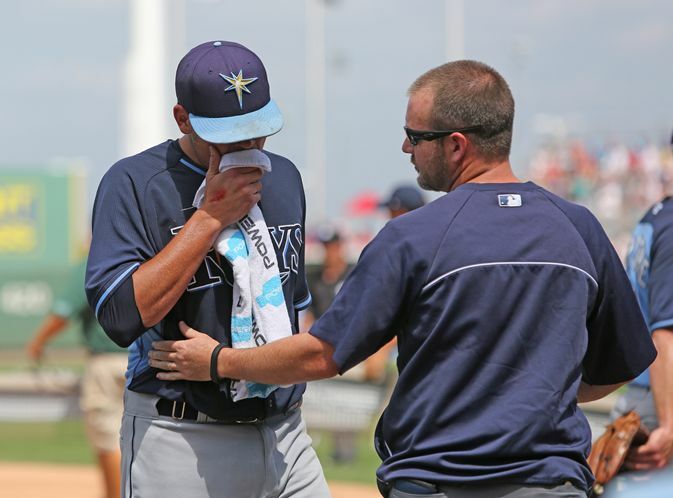 By Ramos going back and trying to stretch himself out again as a starter, it could give the Rays not only another leftie starter, it could ultimately solidify his slot as the Rays long innings eater out of the Pen as well as a spot starter without having to bring someone in from Triple-A Durham in an emergency scenario. 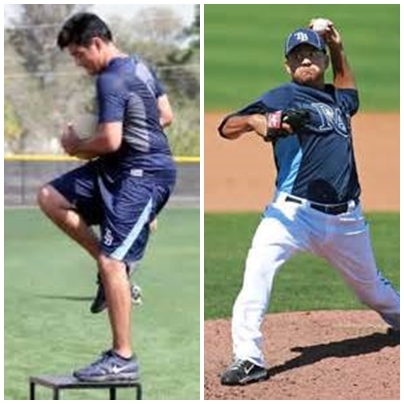 Making yourself an invaluable piece of the Rays machinery has led to a longer Rays tenure for Rodriguez, and it only seems natural for Ramos to also want to secure additional roles or situational ideas with his name imprinted upon Rays Manager Joe Maddon’s mind. By wanting to take a chance on the Rays 5th rotation spot, even in the short term until Rays starter Jeremy Hellickson come back sometime in late May, Ramos is showing his versatility, willingness to take on challenges as well as show he wants the ball every 5th day this season. 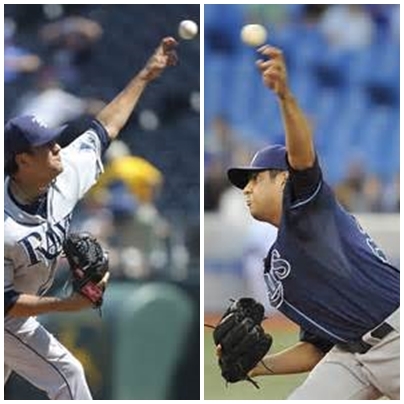 Sure it might only be a gig for 7-8 starts then back into the Bullpen frame of mind, but it can project not only the confidence he has in his pitches, but if the Rays did elect to hand the ball to Ramos, it shows they too understand the commitment whether long term or short is one the leftie would accept again at a moment’s notice. And that kind of guy down in the Bullpen is needed. You never know when a guy might stiffen up, feel a tweak or just doesn’t have his stuff on a given day and with the Rays confident in Ramos, it makes the decision not only easier, but gives them confidence immediately Ramos will rise to the occasion and take the ball. A great comparison to what Ramos is trying to achieve is the situation that fell to Andy Sonnanstine late in his Rays tenure. Sonny was put into the Bullpen with the knowledge he not only has “starter’s stuff” in the way of preparation and stamina, but had the reliever’s mentality at the same time to get the job done in the least amount of pitches, with the least amount of damage until the Bullpen took over the late innings. And not surprising today during his first Spring Training outing, Ramos survived 2.2 innings of work but did give up 4 hits and 2 runs while fellow 5th spot contenders Eric Bedard got the victory and Jake Odorizzi got his first ever M L B save. Still Ramos faced 12 batters and was added by a sniper-like throw by Evan Longoria to get shifty pinstripe Brett Gardner who was trying to stretch his single to left field into a double at Second Base. Some might instantly say Ramos was lucky, but every M L B starter knows a little “luck” is more than welcomed during an outing. I kind of like the idea of Ramos fighting for the 5th rotation slot even if it might be on an interim and abbreviated basis. It puts another usable pitching cog into Maddon’s arsenal as well as doesn’t use up a minor league option on one of the Rays triple-A stars trying to bang their way into the majors. Now it’s up to Maddon and his brain trust to decide if Ramos, who is out of minor league options is their 5th guy until Hellickson hit the mound again, or remains in their long reliever role from this point on this Spring. Hopefully Ramos will get a few more chances to not only change the minds of Rays Pitching Coach Jim Hickey and Maddon, but endear himself to all of us as not only Evan Longoria’s old roommate at Long Beach State, but as the versatile guy is truly is……..I hope Ramos get the shot because versatility especially in the pitching area is something special and should be rewarded. Recently when asked why he chose to sign with the Tampa Bay Rays instead of the Cleveland Indians, P Mark Lowe said it was the Rays “laid back environment” that made him take their minor league offer this winter. It is a environment that has been cultivated, nursed and pretty well resembles a Fraternity at time than a professional sports team, but in that is also the charm that has materialized into the Rays being the B.M.O.C.’s or Big Men on Campus right now among the Major League Baseball ranks. I know that feeling well having been in 2 Fraternities (Delta Theta Chi and Sigma Chi) in my college hazy days. I mean think about it logically here for a second and you too can see the similarities between the two types of organizations and it will come to you that no matter how you slice it, the Rays are a brotherhood that goes beyond the boundaries of the chalk lines, clay and grass. A lot of these guys bond together as teammates and their friendships go outside the comforts of the game to include golf tournaments, dinners, fishing or hunting expeditions and activities involving Xbox or PS 3 consoles. From the moment these guys first roll into the Rays Spring Training clubhouse to the moment they pack and get ready for time away from the game in the Fall, unity, respect and creating a firm bond on and off the field is paramount. 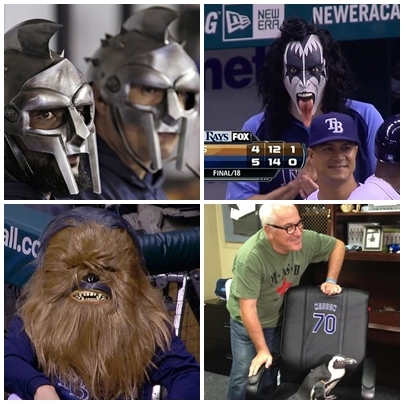 Another indication that the Rays could be a great fraternal order is they have an insanely creative Advisor/Manager in Joe Maddon (former Zeta Psi frat boy) . Who else could of come up with penguins named Cliff, a python that is longer than the Rays Bullpen bench, or could get every single person, including his own game day staff and the PR Dept. to coordinate and participate in some wildly creative and highly photographed road trip ensembles. From the classic All-White event to their awesome Nerd renditions to dressing in PJ’s, this team laughs at itself and is proud of the sum of their parts from starters, reserves to staffers. All are embraced and celebrated during these road trip ideas, and we have the photos to prove it. I mean seriously, anyone who has been to college has walked by those hallowed buildings and wondered what really goes on inside, well with the Rays all the hype and magic are open for the eyes to see or look away. 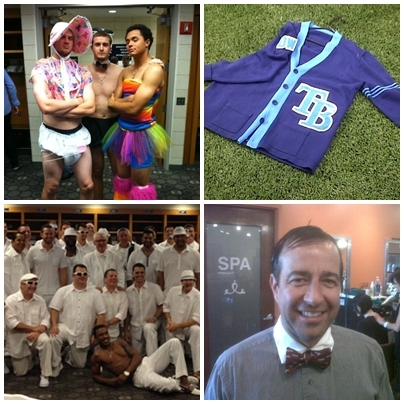 Another similarity is the Rays annual Rookie initiation (I will not call it hazing). There have been some pretty wild costumes ideas over the past from other teams within the M L B Clubhouse halls, but we here in Tampa Bay always search and want to see that year’s edition of rookies and new players parade out to the bus in their selected gear that sometimes you wish you could be unseen, but for some odd reason you can’t seem to look away. 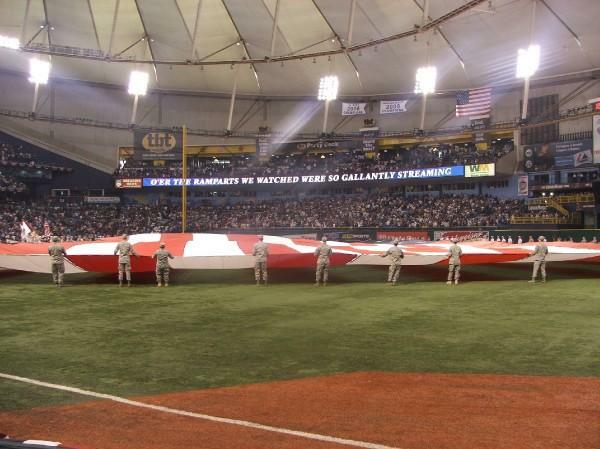 But one of the greatest part of being within the fraternal system is service, and the Rays do that in spades. 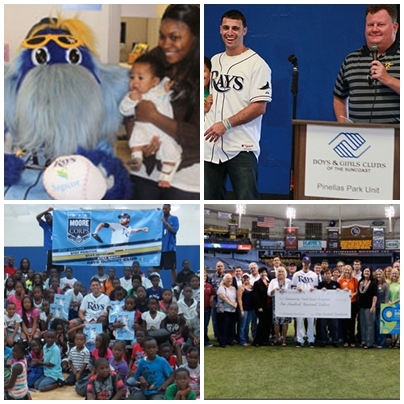 Every player within the Rays M L B Clubhouse has their special interests, pinpointed cause or a foundation to support the Tampa Bay community. Some thought that when B J Upton left for ATL only fellow Rays David Price would be left to carry on with the S. St. Petersburg Dugout Club group that instills the great characteristics of staying healthy, positive, and being involved in life while also striving to be role models would crumble. But it didn’t Price got other players like Matt Moore and Desmond Jennings to come on board and keep the spirit of the project alive and striving. Evan Longoria will donate more than $1 million a season over the life of his contract to the Rays Baseball Foundation, and almost every player on the Rays has written into their contracts or offered voluntarily great contributions that will benefit the Rays charitable arm of the Rays that give out grants and sponsorship’s to those Tampa Bay organizations that need a “help up”, not a hand out. 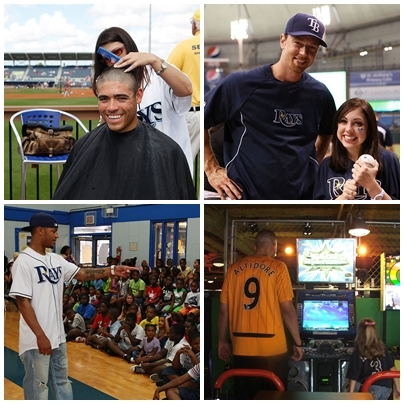 “Paying it forward”, showing civility and acts of service adorn every member of the squad and even to their spouses (Rays Wives organization). 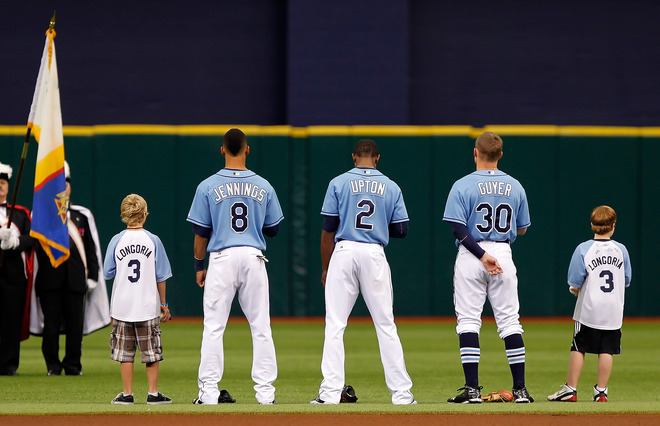 You can ask almost any player who has worn the Rays uniform since Maddon took the torch and they have great and glowing comments on the Rays clubhouse character and the way they play the game of baseball and life. 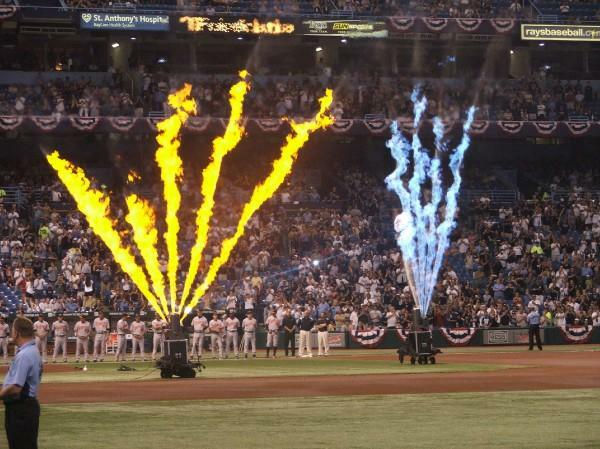 Some of that light can be attributed to Maddon, but other beams of that sunburst has to be shone on the Rays Front Office and their staff for bringing in great men who can contribute to the Rays ideals as well as expand on their foundations and establish new traditions, visual and physical tests to unite and inspire. Remember the gladiator masks, or even Chewy or the Gene Simmons masks of 2013. Fraternities build a person up inside and out and those values might fade a bit, but they are with you for life after you experience them. I still see 2 of my former Frat brothers at Rays games. Larry is with security, and Clevin is with the St. Petersburg Police Dept. presence at Rays games. We are always glad to see each other and even today talk of some of the past monumental events that formed our Frat lives. Yep. If I had to give this band of baseball brothers a fraternity name it would have to be Gamma Alpha Upsilon Zeta, or RAYZ (no “S” in Greek Alphabet). I swear I hear that old Isley Brothers song “Shout” in the swirling wind here in Port Charlotte.